Paktronic Engineering is proud to announce that they have been awarded a new 10-year Framework for the design, manufacture, installation and commissioning of Motor Control Centres and Control Panels for Anglian Water. The announcement was made following an in-depth competitive tendering process from which three specialist companies were selected to work together in meeting the Framework requirements. Paktronic Engineering is joined by CEMA Ltd and TES Group to form a collaborative alliance called “Synergy”. 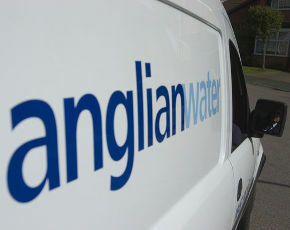 Together we will be working closely with the @One Alliance, the IOS Alliance and Anglian Water to not only deliver, but to review and improve working practices and the technology employed. Paktronic Engineering and the other members of Synergy will be working to both meet and exceed the control and automation requirements of Anglian Water’s vast network of drinking water and waste water facilities. As a longstanding supplier to Anglian Water, Paktronic Engineering is committed to providing the highest standards of workmanship and customer service.